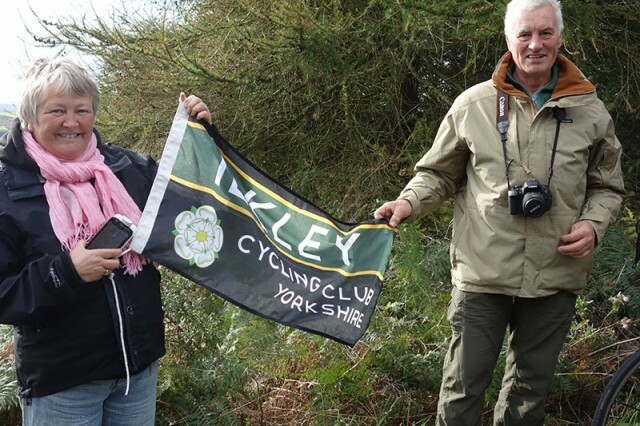 Saturday was the Otley CC double hill climb on Naught Bank Road (Guise Edge) and Norwood Edge. 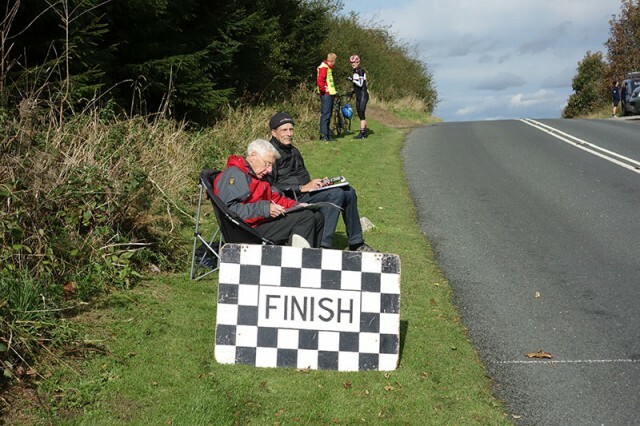 For the first time in the hill climb season, the morning was wet and windy. Though the threatened downpour didn’t materialise, it was still damp on the steep gradient of Naught Bank Road. 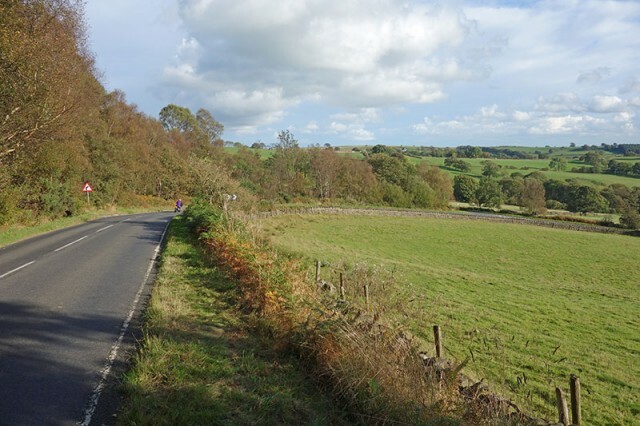 Naught Bank road is a tough climb from Pateley Bridge towards the top of Greenhow Moor. 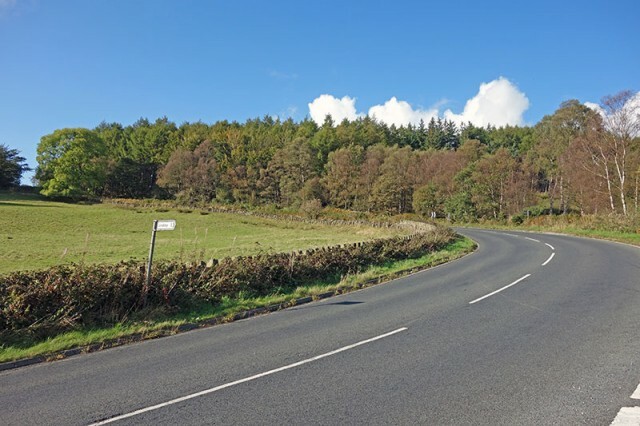 It is an alternative way up the moor to the B road up Greenhow Hill, but is just as taxing, with 200+ metres of climbing. The hill climb course, misses out a bit of the early part (the road is a bit narrow for racing), and starts half way up the climb. Right from the start it is quite steep around 15-16% and it is fairly unrelenting until you come to the first hairpin where you turn right. 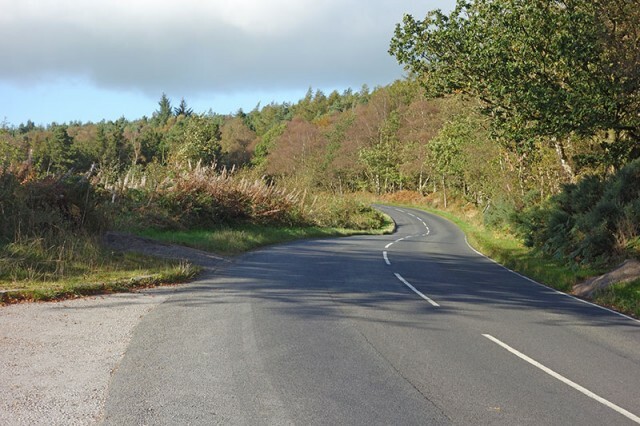 Once over this steep hairpin turn, it levels off a little, before another left turn taking you up to the exposed moors above. I didn’t do much of a warmup. I spent quite a bit of time getting sorted out. By the time I got on the rollers there wasn’t much time until the start. Also, it’s pretty useless warming up on rollers when you’ve taken off your outer chainring. With just a 39 chainring, I could barely get over 130 watts, so much for getting up to race pace. Nevertheless, I felt pretty good. 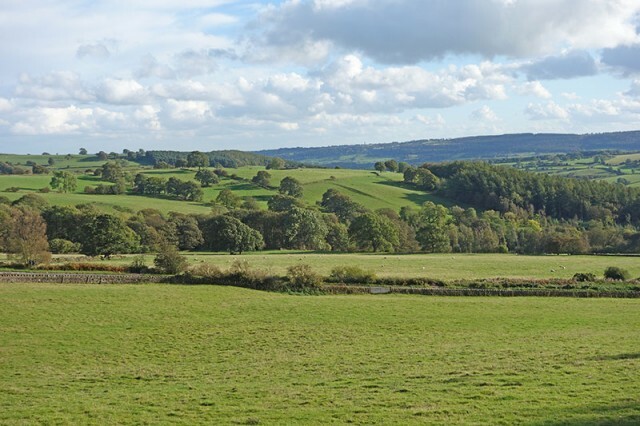 After feeling a little tired towards the end of last week, the Yorkshire hill scenery seemed to be lifting up spirits. With a steep first gradient, it requires a fine balance between not going off too hard, but gaining a good momentum up the hardest part of the course. 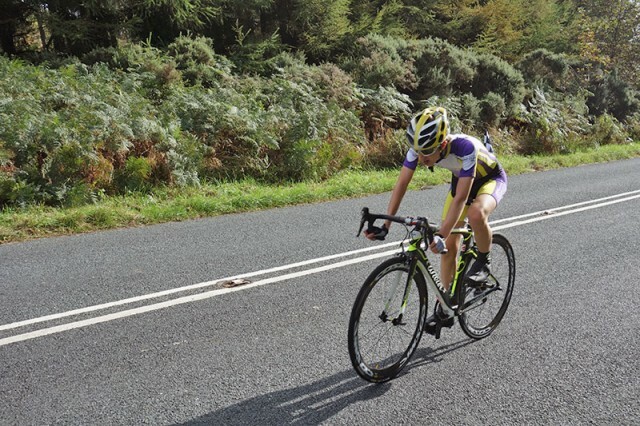 On the middle section, there was a bit of a headwind so I stayed low and got on the drops. Going around the last left hand was good, I still had a bit spare in the tank and was helped up the last steep bit with a bit of a tailwind. It made a fairly fast finish and I was able to go through the finish line in a time of 3.22. I had broken my course record by another 1 second. Amazingly, it’s the fourth consecutive year I’ve broken the course record on Guise Edge – though only 2 seconds quicker than 2011. After a nice three hour break, it was time for the second hill climb of the day. 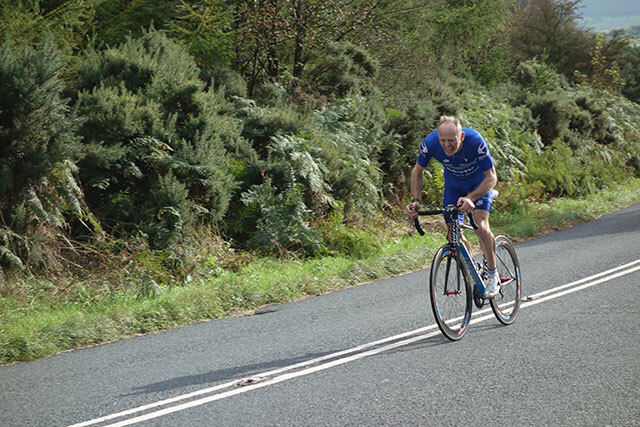 I’ve raced up Norwood edge several times. One thing that has always been prominent about Norwood Edge is the amazing course record of Jeff Wright set in 1992 in a time of 4.42. I got close in 2011, with a 4.46. I tell myself if Norwood Edge had been the 1st climb of the day rather than 2nd, I might have got even clsoer. But, since then, it seems to get harder and harder. 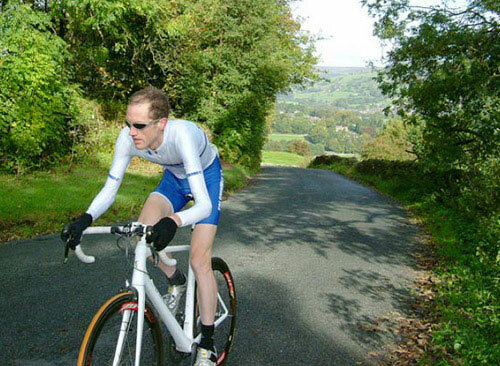 Both Jim Henderson and Matt Clinton (former national hill climb champions) have ridden Norwood Edge, but we haven’t got too close to J.Wright’s amazing record from the days of steel frame bikes and fixed gears. 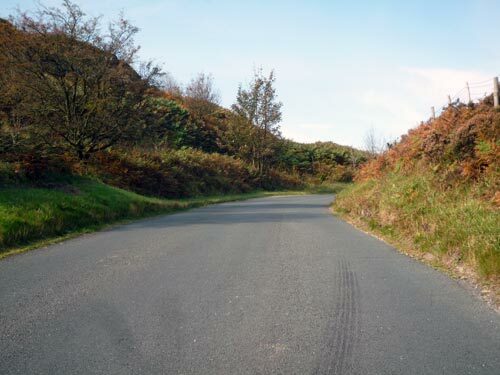 C.Boardman also rode this hill in the past. 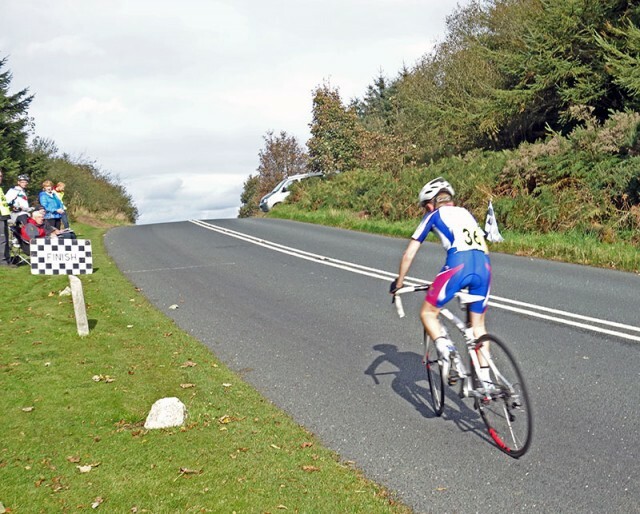 If anything, I’d gone up Naught Bank road at 99.5% effort – aware there was still another hill climb to come. 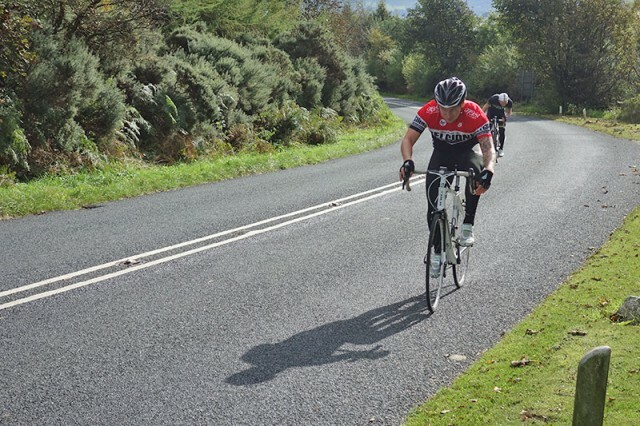 I gave it a good effort up Norwood Edge, but there wasn’t quite as much power on the last half as I would have liked – just goes to show whether you’re a hill climb newbie or national champion – you would always like a bit more power. 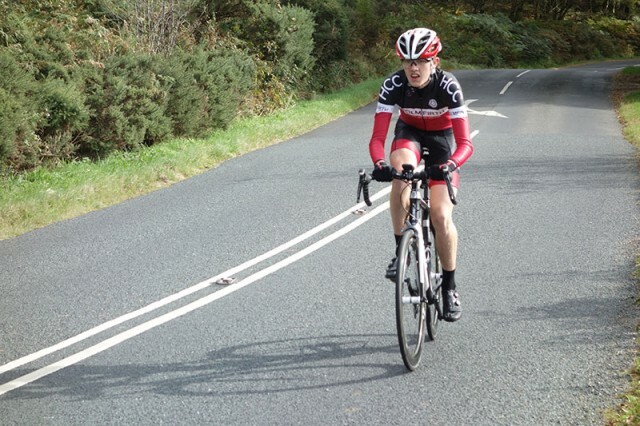 Overall, it gave me 1st place, ahead of Henry King (Ilkley CC) and 3rd Julian Varley (PH MAS cycling) – Julian was also first junior so it was a very good ride. 4th was Ben Jacobs of Albarosa CC – who led Albarosa to the team prize. 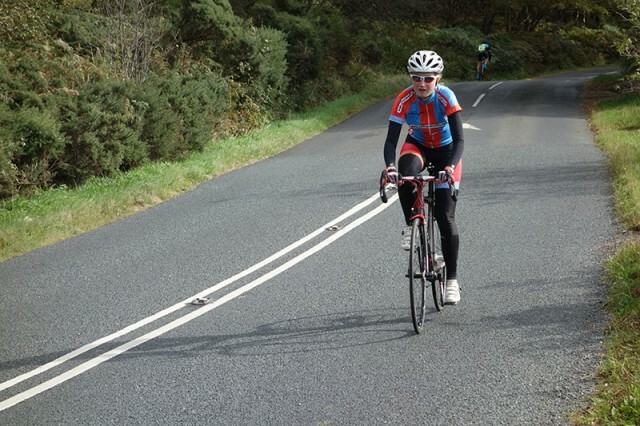 5th place was fellow southerner Ben Nichols from Amersham CC. 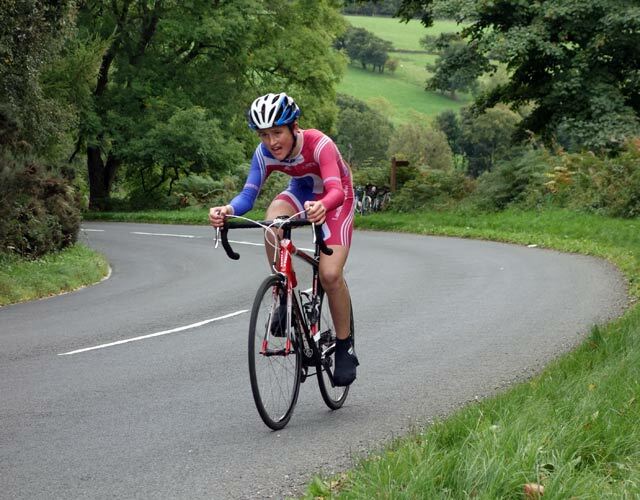 Ben is riding Bath CC hill climb tomorrow – great dedication to the hill climb cause. 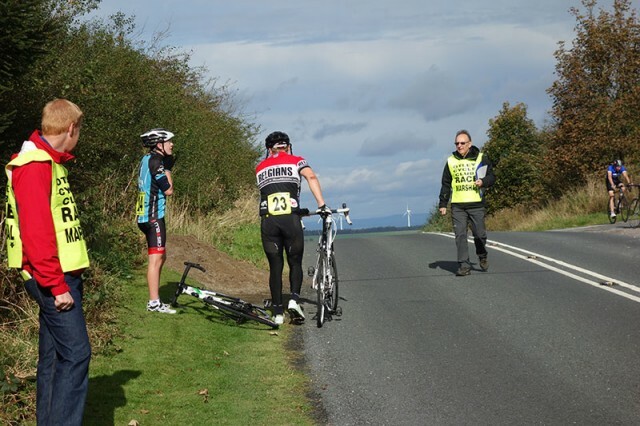 As usual a great promotion by the Otley CC, particularly good to see lots of youngsters getting involved in hill climbs. 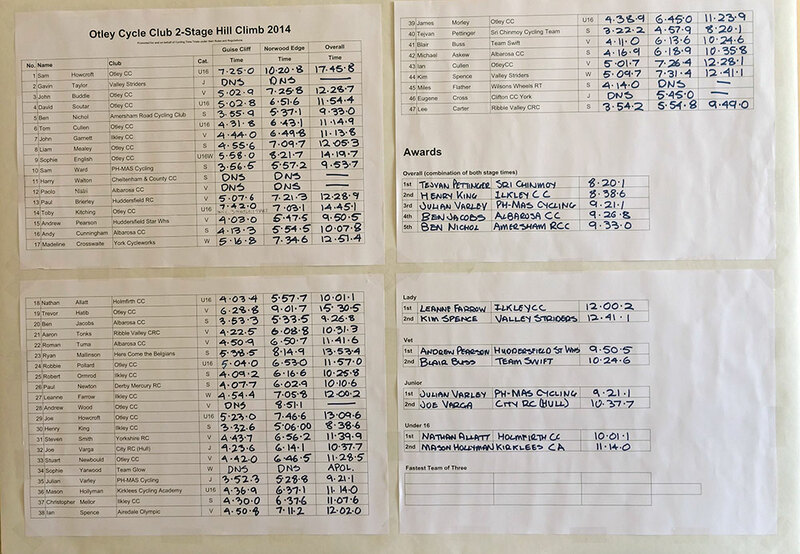 Otley CC seem to have a very good junior section these days. 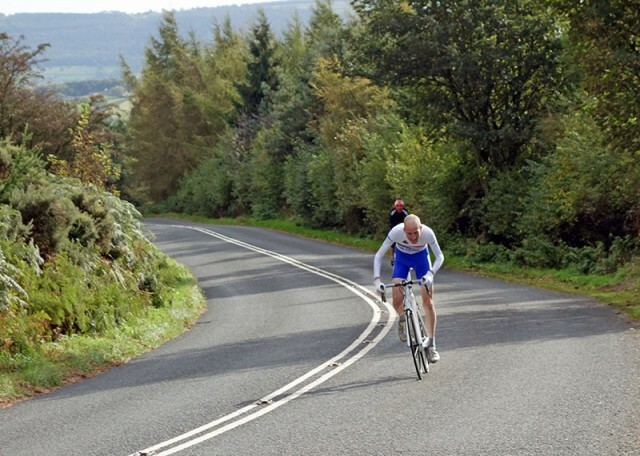 When I was in Otley CC many years ago, I always seemed to ride with 50 year old gentleman! 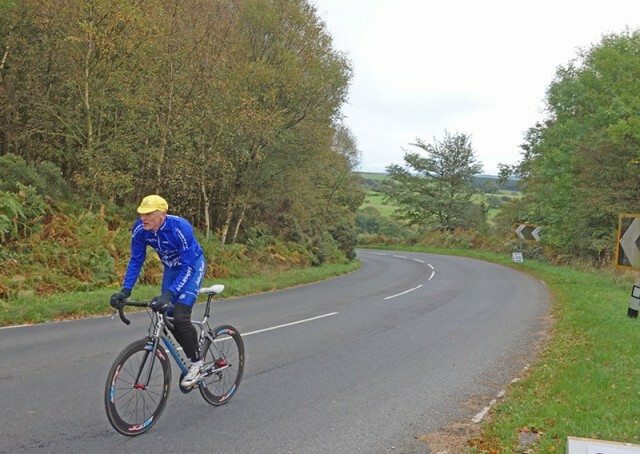 – though that was partly because I never joined the fast section, but choose the more ‘sedate’ club runs, predominately 50+, these days they would be called MAMILs, in those days they were just dedicated club members. 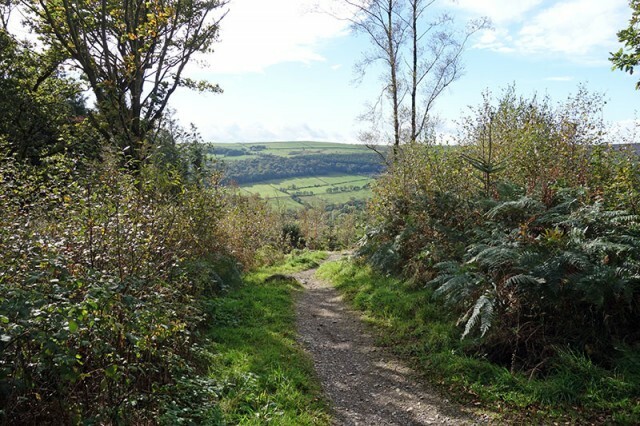 A strange thing is that looking at previous times, every year I seem to get a second quicker up Guise Edge and a little slower up Norwood Edge. I must admit I would have expected it to be the other way around. A view from the climb. 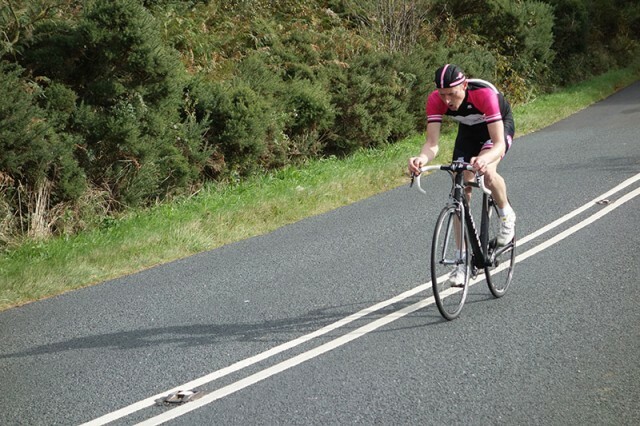 Just out of interest what do you do between climbing the two hills on a two stage HC? Do you cool down and then re warm up for the second hill? Recovery/food? 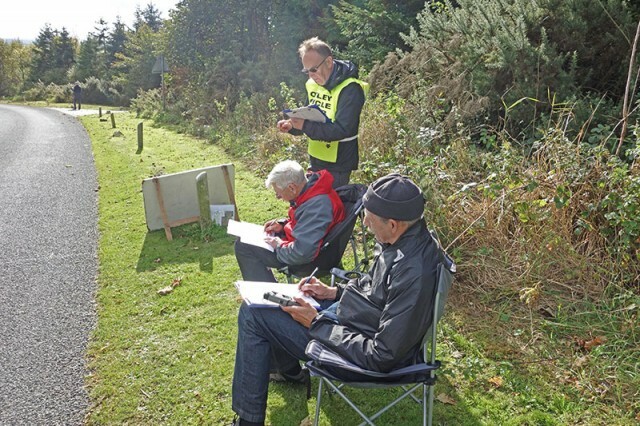 I have my first 2 stage HC (Matlock) coming up in a few weeks and wondered if there was a protocol you follow to allow for ‘optimal’ performance on second hill? Then start to warm up 40-60 minutes before next stage. Other than that take it easy, sit down! Don’t eat loads of food, like I did once.